With over 30 years experience in manufacture and wholesale of Printer Imaging Supplies we have the range that works for our dealers by ensuring their margins on sale is most pleasing , clients receive a consistent high quality print with pricing thats easy on the pocket all backed by a full product warranty . We call it GPOM ( Great Peace Of Mind ) . The overseas manufacturers we partner with are at the cutting edge in systems implemented for Manufacture and Quality Assurance with Environmental Policys /Awards that are Industry leading in the world . With this level of backing we offer a full support to our Dealer Base by way of availability , admin , prompt delivery systems and before & after sales technical support . We also offer all OEM Brands of Inkjet and Laser Printers with full warranties . OEM manufacturers brand names and logos are registered trade marks of their owners and have no association with or make any endorsement of the products and services provided by QUALITY BUSINESS IMAGING. 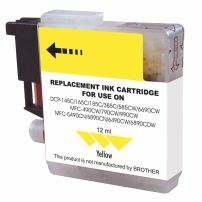 Our Comprehensive Range of BEST IMAGE Compatible Inkjet Cartridges offer a product with Inks made in USA to the highest standard with the cartridges moulded , filled and packed on State of The Art machinery in a ISO9001 certified facility in China . 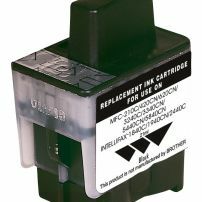 Look over the REMANUFACTURED range of Ink and Toner cartridges that are assembled and packaged in a facility that boasts many certifications including ISO9001 , ISO 14001 , IECQ QC080000 , ROHS compliance , REACH ready and holds BLUE ANGEL approval . You will find all the popular selling models in Remanufactured or Compatible form for Brother , Canon , Epson , HP , Kyocera , Lexmark , Oki and Samsung plus many more added on a regular basis . LATEST ADDITION TO THE LINEUP !! commented on "Hot off the Press - Go to our Downloads for your fully updated Inkjet cartridge and Laser Cartridge to Printer CROSS REFERENCE GUIDES ..."
commented on "Plenty of New Release Laser Printer Cartridges now in Stock and Ready for your orders including ; ..."
commented on " Only for the Month of March 2015 we have Great Deals on these Selected Lines ; ..."
commented on "Our Laser cartridge to Printer Model CROSS REFERENCE GUIDE has been totally Updated so yo can find what cartridge you need for the ..."
commented on "Now in limited stock , you can offer these alternatives to the pricier OEM drum units and get the same great prints for your clients and ..."
BROTHER DR240CL Remanufactured Drum Units ARE HERE !! !